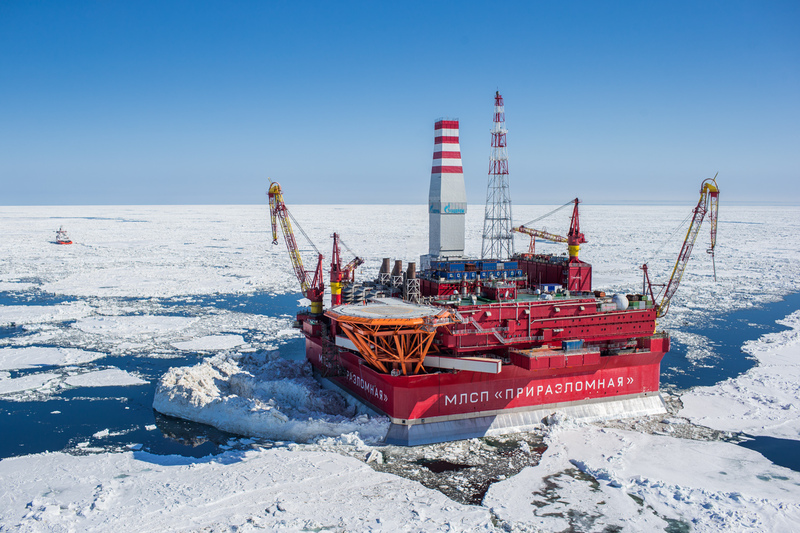 An increasingly ice-free Arctic could lead to lucrative new business and development opportunities for Arctic nations – particularly in mining, oil and gas drilling, commercial fishing and tourism. What’s at stake? Is the necessary infrastructure in place? As Arctic waters open up in the summer and glaciers recede, there will likely be more exploration of unexploited petroleum, gas and mining in the region and more cargo transiting northern waterways. The Northern Sea Route along the Russian coast is now partly open. Analysts predict trade between Europe and Japan, China and South Korea will expand by using these shorter routes. In October 2015, China’s biggest shipping company COSCO announced that it would soon launch regular freight services from Asia to Europe using the Northern Arctic route that has recently been open during the summer months. China signed a free trade agreement with Iceland in 2013 in anticipation of using the new route. Although the shipping routes in northern Canada are not yet consistently open, they have seen an increase in maritime traffic in recent years. Thirty vessels transited the Northwest Passage in 2012 and a large bulk carrier passed through in 2013. But only 17 ships navigated the sea route in 2014, due to cold temperatures and unforgiving ice. The Arctic is rich in oil and gas. Experts estimate the region holds as much as 13 percent of the world’s undiscovered oil and 30 percent of its undiscovered natural gas, much of it offshore. As the ice melts, these territories are opening up. Norway and Russia already have large offshore oil and gas drilling programs. In early 2015, Norway expanded its oil drilling territory by offering new leases for the first time in two decades. But as oil prices dipped toward $40 per barrel in 2015, both Shell and Statoil opted to pull out of drilling in the U.S. Arctic Ocean. Meanwhile, scientists studying the impact of fossil fuel development on climate change have said that 100 percent of oil and gas reserves in the Arctic must remain untouched to have a chance of keeping global warming below 2°C this century. Mining activities in the Arctic contribute raw materials to the global economy. Canadian mines provide lead, zinc, copper, diamonds and gold. Russia does the most mining, extracting nickel, copper, platinum, apatite, tin, diamonds and gold. In Alaska, the cumulative production value of mining zinc, gold, lead, silver, copper and other minerals was $3.4 billion in 2013, according to to the Resource Development Council. Red Dog mine in northwestern Alaska is one of the world’s largest zinc-lead mines. It operates under an agreement between NANA, a native corporation owned by the Inupiat people and Teck Alaska Incorporated. 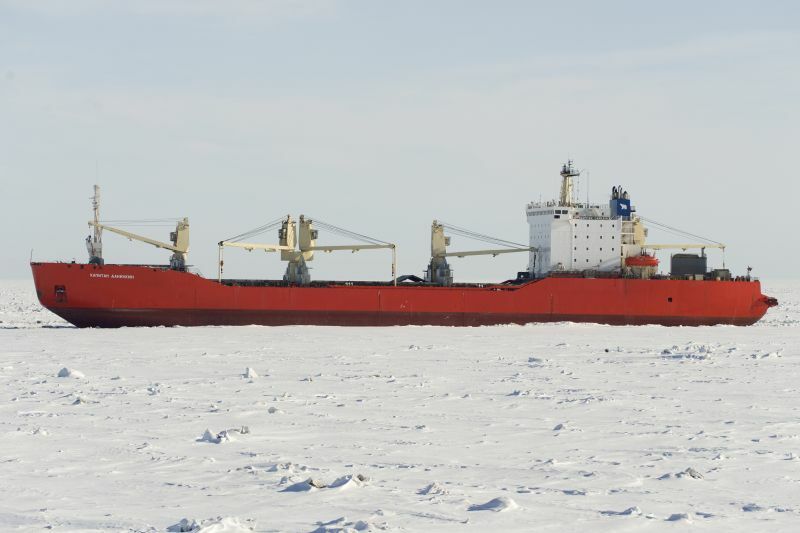 The cold climate and the mine’s location makes the operations challenging: cargo ships can only access the port when the Chukchi Sea is free of ice. In 2012, China announced that it was running out of rare earth minerals, elements used in many of the electronic devices and electric vehicles used today and for the foreseeable future. They are essential materials in the manufacture of the powerful magnets used in loudspeakers, computer hard drives, wind turbines, hybrid cars and drills that search for oil deep in the earth. These minerals are abundant, but they’re difficult to extract, as they are mixed into rock in small concentrations. Geologists estimate that Greenland may hold enough rare earths to meet one-quarter of the global demand. Changes to Greenland’s ice cap may make these minerals more accessible to mining. In 2013, Greenland’s parliament removed a 25-year-old ban on mining uranium, which is often mixed into rare earth minerals, attracting interest from international companies. Greenlanders are divided on the idea. Some say mining is a financial opportunity for Greenland, but others are worried that noise, wastewater, chemicals and uranium dust could have environmental and health consequences if they are not controlled or disposed of properly. Climate change also creates challenges for the mining sector. Some companies rely on snow and ice roads, which can become dangerous or unusable with warming temperatures and changes to snow patterns. 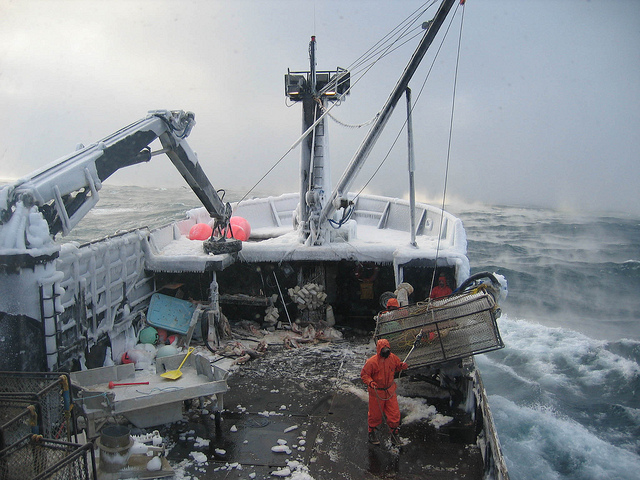 The Arctic has long been at the center of rich commercial fishing. Norway is the biggest fishing nation in Europe, producing almost 3.5 million tonnes of seafood in 2011, with about 30 percent coming from the aquaculture industry, and a total export value of almost $9.5 billion. In Iceland, the fishery sector employs about 6.5 percent of the workforce. Arctic warming is providing access to new ocean areas and appears to be changing the distribution of some fish species, which could lead to new commercial fishing opportunities. For example, Atlantic mackerel have recently been spotted near Svalbard, a northern record for the species. But many scientists say a large knowledge gap about the Arctic marine ecosystem remains and that fishing should proceed cautiously, if at all. 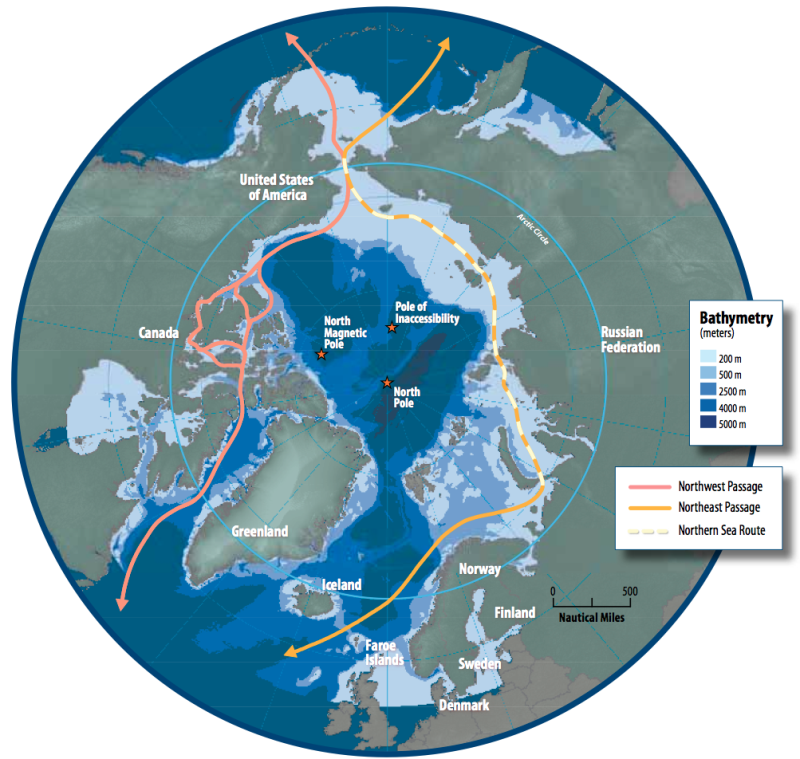 In 2015, the five Arctic coastal nations – Canada, Denmark, Norway, Russia and the U.S. – agreed to ban commercial fishing in the waters near the North Pole. The region doesn’t yet have exploitable fish stocks, but many believe that could change with shrinking summer sea ice. Tourism is adding to the economies of some Arctic nations and communities, despite the relatively short summer seasons. Some countries, like Greenland, are looking toward tourism to boost their economies after the price of oil and minerals has declined. Cruise ships are also eager to sail to new places. An American cruise line aims to take advantage of the melting ice in the Northwest Passage to become the first luxury ship to sail through the waterway in 2016. More than 1,000 people will be aboard the Crystal Serenity during its 32-day cruise from Seward, Alaska to New York City. But tourism can have environmental impacts. Coastal regions are especially vulnerable to the impacts of tourists or pollution because so many species congregate there during their breeding seasons. Tourists and transport vehicles may disturb wildlife or trample fragile vegetation. Cruise tourism in the Arctic also brings safety risks. Sea ice patterns may become less predictable and routes may not be well charted; Arctic coastguards are concerned about passenger safety should a cruise ship run into trouble.